The big surprise of the day again came from Long Nab when one of those classic spring rarities, a Bee-Eater, flew over to the south at 10.53 loosely associating with 4 Common Swifts inland of the Obs and calling frequently. This is only the fourth record of this multi-coloured marvel in our area, it would have been nice if it had hung around for a while but unfortunately it didn’t and was only seen by one fortunate observer. It was also too far away for any photographs to be taken. Observers at other points to the south of Long Nab were on full alert but the bird didn’t show at any other locations and was never seen again. Also from the Nab today and all moving south were 10 Barnacle Geese at 07.00 (passed Flamborough 56 minutes later), a Little Egret, a Puffin and 9 Swifts, the hirundine movement today involved 6 Sand Martins, 211 Swallows and 33 House Martins. 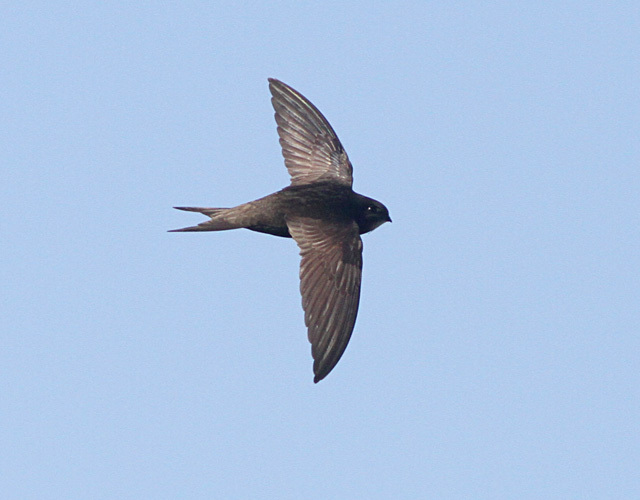 Other things today involved a 2cy Mediterranean Gull at Scalby Mills, a Sedge Warbler at Harwood Dale Lake, a Spotted Flycatcher in Troutsdale and last but not least a Hobby was seen chasing Swifts over Scarborough Old Town this evening. Although not taken today I've been waiting to squeeze this one in somewhere.